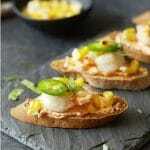 Chips and salsa is always a popular appetizer or snack. 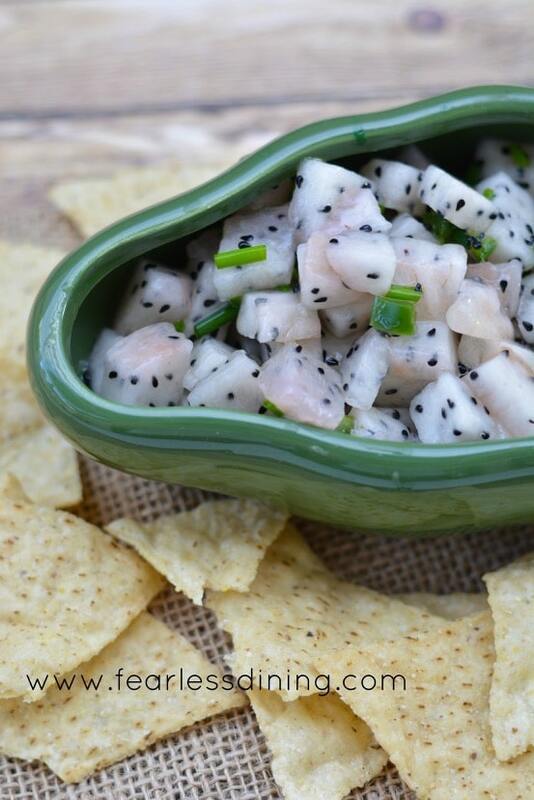 How about surprising your party guests with a dragon fruit salsa? I found dragon fruit marked way down at our local Oakmont Produce shop. It was on the verge of being over ripe, and just begging to be put to good use. This is my first time with this fruit, and I found it to have a really mild flavor. Have you ever tried a dragon fruit? This is one fruit I have yet to try. It has a unique flavor, and looks almost like dice when cut up for salsa. 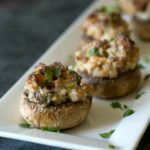 Talk about a fun looking appetizer! You can even make a cocktail like this Dragon Fruit Cocktail out of it. I kid you not, these are bringing back those memories of big fuzzy dice hanging from my rear view mirror when I was a teenager :-). I decided to make a fun salsa with some lemon juice (still using up lemons anywhere I can! ), chives, and diced jalapeño. I recommend letting the salsa sit for an hour after mixing the ingredients so that the flavors can blend together. 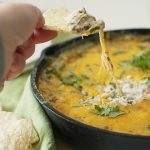 It makes a big difference and makes the salsa outstanding! 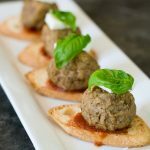 Click here to see all of the appetizer recipes on this blog. Cute mason jars to store the salsa in. Mixing bowl to mix this recipe up in. Add all ingredients into a medium bowl and toss together. 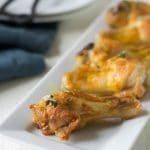 Allow to sit for 1 hour so flavors blend together. 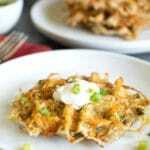 Serve with gluten free corn tortilla chips. This is a great idea, Sandi! It looks so refreshing! 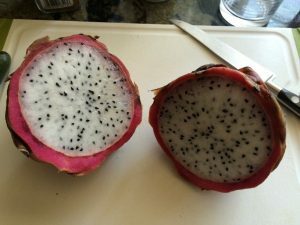 oh WOW – I love dragon fruit – reminds me of spending summers in Hawaii as a kid! 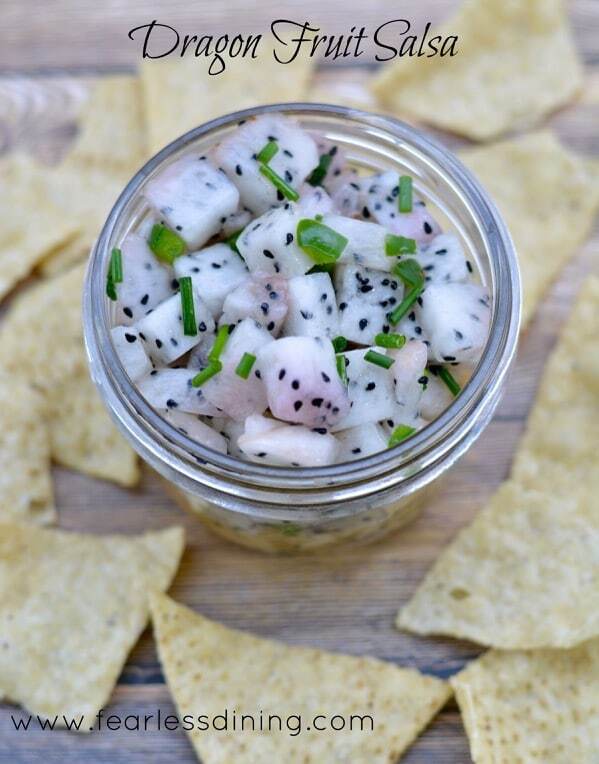 I have never thought to make salsa – will have to try this next time I go to my favorite Asian market, they often have GOOD dragon fruit! Awesome Kristina. 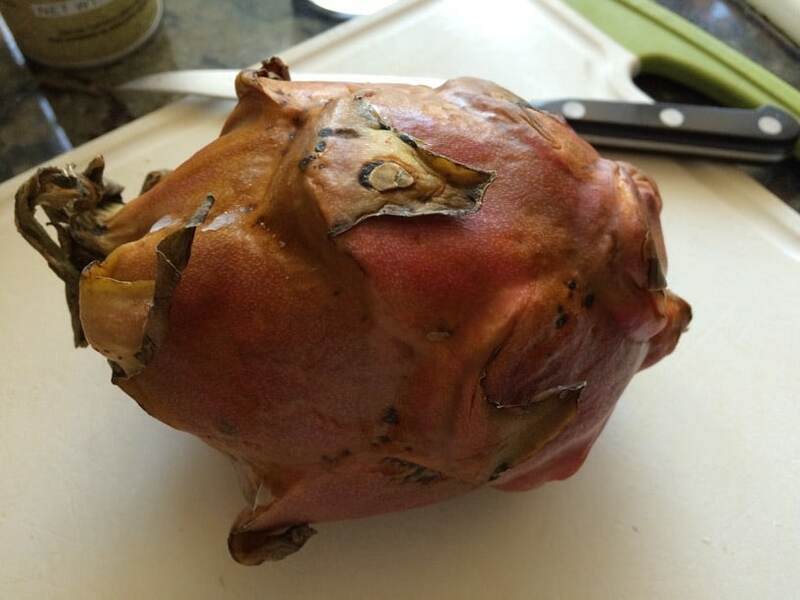 This dragon fruit was on the verge of being over ripe so I can’t wait to try a dragon fruit a little fresher. Seriously loving the use of dragon fruit!! My grandparents ate it with hot sauce in Malaysia or this fish sauce- It was actually really good! Now I’m craving some dragon fruit! Hi Arman, I love the idea of the hot sauce combining with the sweetness of the fruit….sounds fabulous. So cool. I have never had dragon fruit. I have to try it. 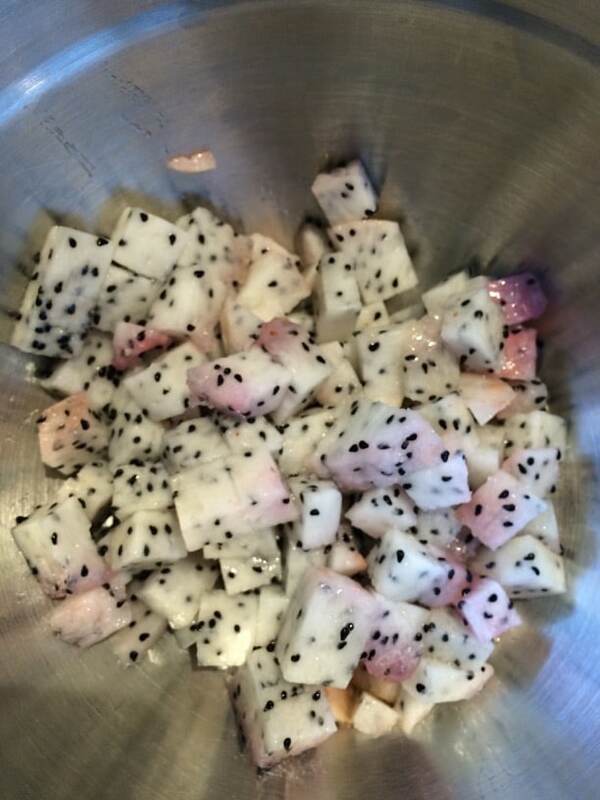 I have always wanted to try dragon fruit! I see it on TV all the time but I’ve never seen it sold locally! This makes me want it even more now. I’m going on the hunt! Wow! What an awesome idea. 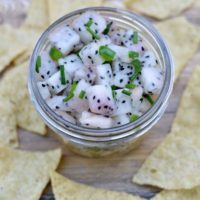 Never thought of making dragon fruit salsa! This would be so fun for cinco de mayo!